This transformative tube will instantly repair years of damage, double your resistance to future breakage, and protect against colour fade (by 94%) with a single application!! 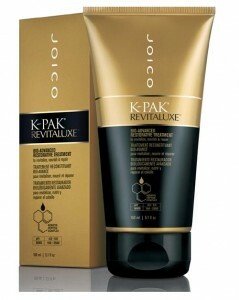 Perfect choice for: Any hair type/length/texture/colour that seen damage and wants immediate rescue. Here’s how: Apply to freshly washed hair and and allow for 5 minutes for it to do its magic!! Then rinse and get ready to be blown away! The inside secret: A keratin Peptide Complex. It will create a virtual ”molecular bandage” on the surface of the hair to protect against damage and dehydration. Now available in Hair Boutique €21.